image, upload an image, or grab one directly from a URL location. Pixlr has one-click manipulation for size, rotation, inversion, as well as for adding instant photo effects, and changing saturation, hues, etc. 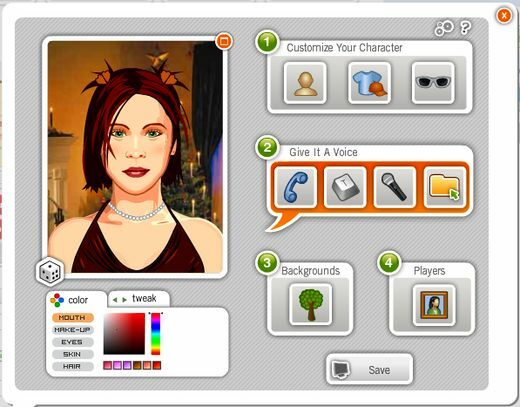 Students can generate questions to ask their avatar e-pals.ESL (English as a Second Language) students can use the speaking avatars to practice and listen to their speech. Character development. Once students have their avatar, they write their own profile for it and develop its character. Students can write questions to each other’s avatars or comment on them. Comparisons- Students write comparisons between themselves and their avatar.Provide information for students and parents using a unique style. Remember you can put a talking avatar in a classroom or school wiki, blog, or email. makeup and accessories. Users can also alter nose, eyes, mouth, and more. Similar to Voki but more suitable for older children. ToonDoo is a specific genre of cartooning, a web comic, a comic book designed to be viewed online. 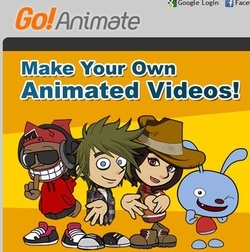 Toondoo offers a convenient platform for creating and sharing cartoons. To get started, you simply choose a single, double, or triple panel. You can import images, but Toondoo offers a wide range of characters, text bubbles, backgrounds, etc.ToonDoo is a creative way to introduce multiliteracies into your classroom. Through using ToonDoo, students are able to create multimedia-rich digital stories in a Web comic format. Such a combination of interactivity and multimedia provides a new impulse in digital storytelling to students by making them more active members of learning process (Vassilikopoulou, Retalis, Nezi, & Boloudakis, 2011 pp 121). Pen.io is a super fast way to publish content online. It takes just seconds to create a page and start adding content. Pen.io has been designed as a more permanent alternative to blogs. 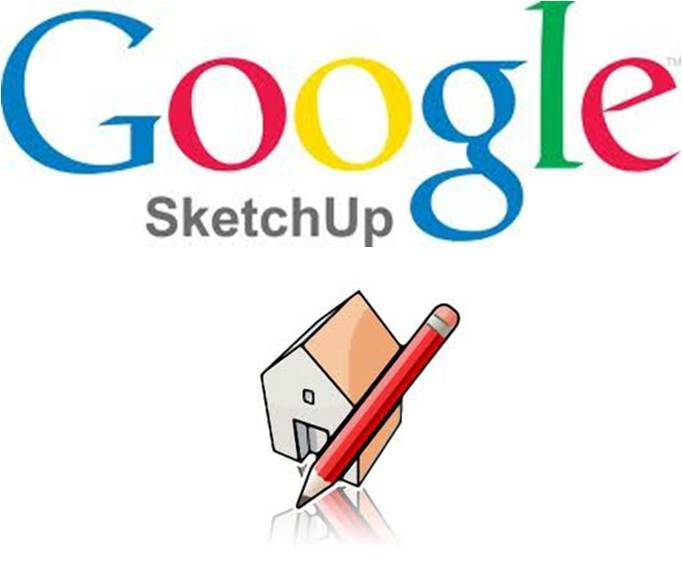 Google SketchUp is modelling software that empowers students to be 3D designers. SketchUp is a great tool for constructing 3D models of buildings, trees, cars, and anything students can imagine. You can use it as a stand-alone tool, or in conjunction with Google Earth and the 3D Warehouse. Visualize geometry and other mathematical concepts. Create model buildings and learn about architecture. Easily share designs with others via the Web. Easily draw on maps and then share them. It is a free website that allows users to scribble, draw, measure distances and areas and place markers, pictures and videos on Google Maps. 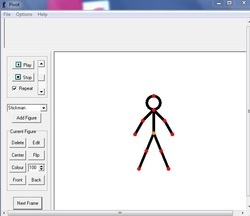 Pivot Stickfigure Animator is software, that allows you to create stick figure animations easily. You can move the sections of the sick figure and easily create a chain of animation frames that can be previewed as you go. You can use more than one stick-figure in the animation, and even create your own stick figures using an easy to use visual editor that lets you assemble objects out of lines and circles. In addition, you can optionally set animation size, speed and more. The result can be saved as animated GIF file. in the cloud. You can connect your web editing and your mobile device camera - and it enables you to tell your stories together. DoInk is a virtual space for creative minds to come and share their drawings and animations with a community of others. It is easy-to-use, yet powerful vector drawing tools, it is simple enough for doodlers, with advanced features for skilled artists. Doink flipbook-style animating is also great for beginning animators too. 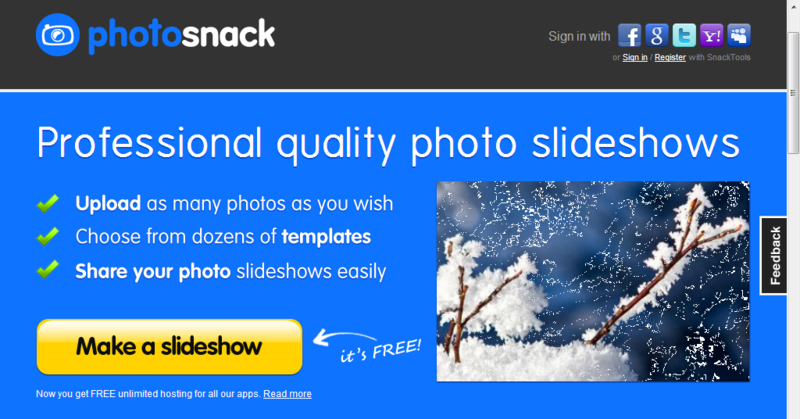 Create simple video slide shows. Simple add pictures, text, select music and create. Prezi is a presenation tool. It allows you to bring your ideas into one space and see how they relate, by displaying on a large canvas. Zoom out to see the big picture and zoom in to see details. It is important to think of context as it not a replacement tool for PowerPoint- it allows a different approach to presentations. A VoiceThread is a collaborative, multimedia slide show that holds images, documents, and videos and allows people to navigate slides and leave comments in 5 ways - using voice (with a mic or telephone), text, audio file, or video (via a webcam). Share a VoiceThread with friends, students, and colleagues for them to record comments too. Users can doodle while commenting, use multiple identities, and pick which comments are shown through moderation. VoiceThreads can even be embedded to show and receive comments on other websites and exported to MP3 players or DVDs to play as archival movies. On Widbook you can create a digital book that contains text, images, and videos. Online Comic Creator where students make their own comic story. It is especially great for art and english classes. Students can create a plot before going onto the comic maker, using words to describe what happens. Once they have logged into Super Action Comic Maker, they can add the images. The comic maker is part of a larger site called ArtisanCam, a fantastic site full of ideas to use in art class. This site provides the tools for you to build up an argument or description of an event, person or historical period by placing items in a virtual box. A Museum box is a way of presenting information that allows you to create a cube project that can be shared with others. You can use photos, text, videos. Create newsletters, actionable presentations, invitations, beautiful product features, event summaries, informative updates, lovely picture collages. - Science: Scientific Method, how to conduct an experiment, safety instructions. also be added to characters to emphasize key points. 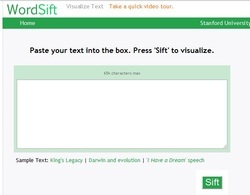 Enter or paste any text into WordSift and you can engage in a verbal quick-capture! The program helps to quickly identify important words that appear in the text. This function is widely available in various Tag Cloud programs on the web, but there is the added ability to mark and sort different lists of words important to educators. It also integrates a few other functions, such as visualization of word thesaurus relationships (incorporating the amazing Visual Thesaurus®) and Google® searches of images and videos. 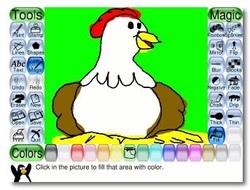 Tux Paint drawing program for children ages 3 to 12 (for example, preschool and K-6). It has an easy-to-use interface, fun sound effects, and an encouraging cartoon mascot who guides children as they use the program. Children are presented with a blank canvas and a variety of drawing tools to help them be creative. It is MAC and PC compatible and is a free download. Scratch is a programming language that makes it easy to create your own interactive stories, animations, games, music, and art — children can share creations on the web. As students create and share Scratch projects, they learn important mathematical and computational ideas, while also learning to think creatively, reason systematically, and work collaboratively. Online web creation site- web building tool designed for ‘non-techies’ offers a simple step-by-step website developing process that literally anyone can use to its fullest potential. All drag and drop elements. 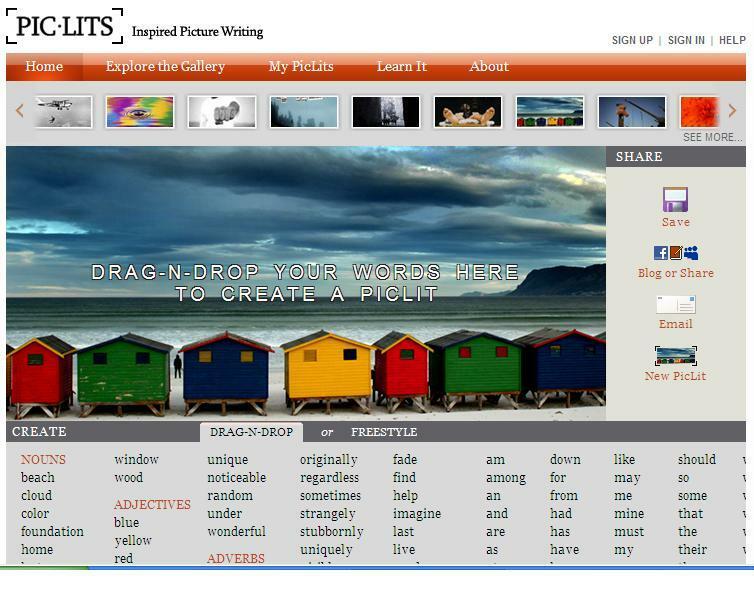 Wix allows anyone to create a very modern, interactive website using drag and drop features. This allows you or your students to be as creative as you wish,and gives unlimited possibilities for use as a teaching and learningtool. Teachers can create websites featuring content that they have created if existing websites are rare or at a more complex level than students are ready for. Students can create their own websites, or collaboratively work on a shared site featuring their own work. Create interactive online timelines. TimeToast allows images, links and text to elaborate on each event. Dipity is a free digital timeline website. It will allow you to organize the web's content by date and time. Users can create, share, embed and collaborate on interactive, visually engaging timelines that integrate video, audio, images, text, links, social media, location and timestamps. VUVOX is an easy to use production and instant sharing service that allows you to mix, create and blend your personal media. VUVOX gives you the power to create one of a kind stories in an instant. Take pictures, video, audio and text. Mix it up. Choose backgrounds, colors, textures and then, you are ready to share your creation with the world. BeFunky simplifies photo editing and effects for everyday people. Choose from our constantly growing library of photo effects to turn your ordinary photos into extraordinary art with virtually no effort. Fix your common photo problems like bad lighting, digital noise, fuzzy colors and details with one click.Give your digital creations a whole lot of character with BeFunky Goodies. Add speech bubbles, frames and more. Create fancy text or labels. 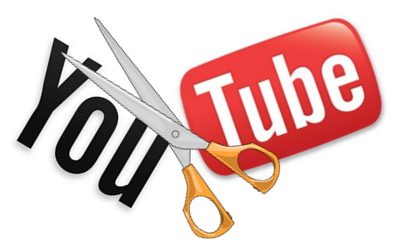 The YouTube Video editor lets you make quick edits to your uploaded YouTube videos. You can combine multiple clips, incorporate Creative Commons footage enhance your clips with effects, and more. students. They also have support background music, captions, and comments. Inspire picture writing by drag and drop text or free style writing on a picture. 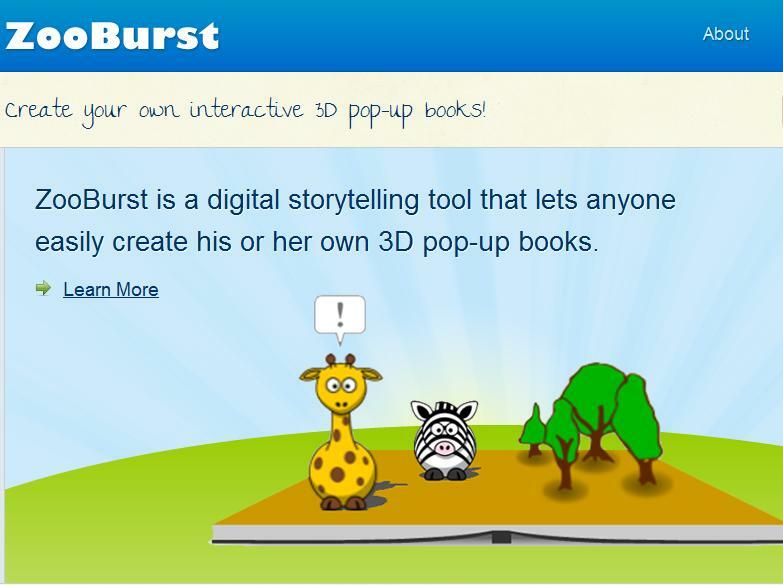 ZooBurst is a digital storytelling tool that lets you create 3D pop-up books. ZooBurst authors can share books with readers using a simple hyperlink, and books can easily be embedded in any website or blog, allowing authors to provide their own contextual framework to their stories. Authors can also maintain a moderated discussion forum for each book, providing a virtual space in which readers can interact with one another. 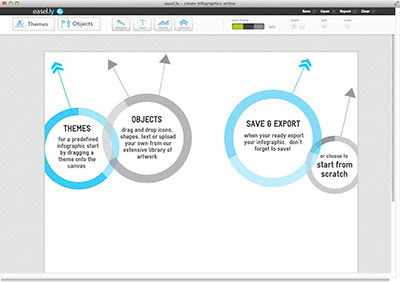 Storybird is a collaborative storytelling tool. Students use collections of art to be inspired to write stories. One the art is chosen, students are able to build there story by dragging and dropping pictures and creating a story to match. It’s great for teachers because they’re able to easily create student accounts and assignments for students. It’s also simple to collaborate with others whether it’s another student in class or someone from another country! Storybird is an extremely engaging site that allows students to focus more on the content of their writing rather than drawing pictures! 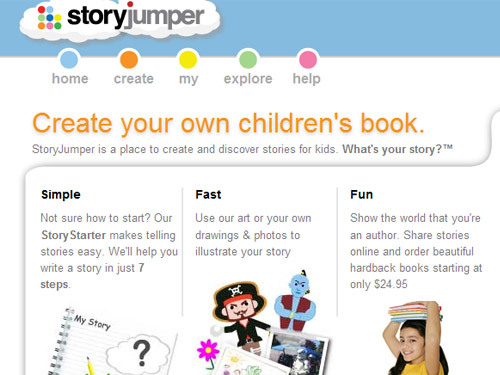 StoryJumper is a place to create and discover stories for kids. There are a lot of illustrations and scenes to add to your book. You can also upload photos from your computer onto your book, and you can search for photos on Flickr. 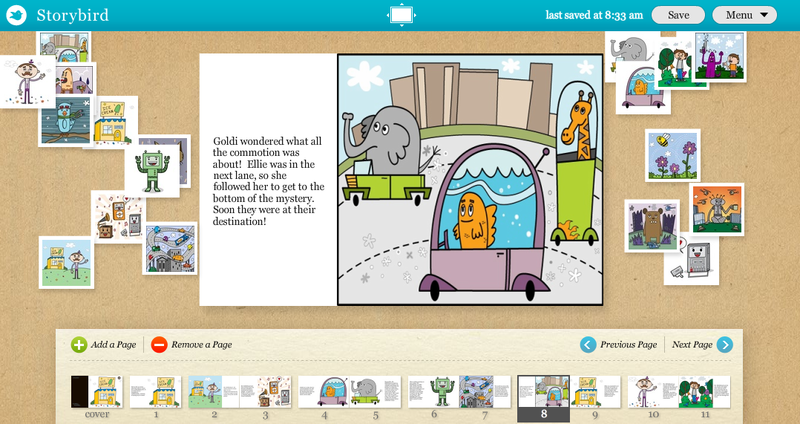 Capture student's voice and imagination with creative story building. Very simple interface that is suited for early years. It is a great tool to use to create digital stories. Little Bird Tales walks users through each step of creating a multimedia story. Users can upload images, draw images, or record from their webcams. Stories can be written with text or narrated by students using microphones connected to their computers. QR Code (abbreviated from Quick Response Code) is the trademark for a type of matrix barcode (or two-dimensional code) first designed for the automotive industry. The code consists of black modules (square dots) arranged in a square pattern on a white background. A tour can be made self guiding. Students use headphones plugged into phone/itouch and scan QR codes to listen to pre-recorded podcasts describing that part of the tour. Create short videos depicting the consequences of various actions. Create a QR code for each video. Students read the description of the dilemma, then scan the QR code that relates to view the consequences of their choice.